Discount UVB 5% and 6% tubes until the end of April. 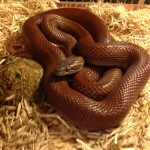 We have discounted all makes of UV tube for forest type reptiles by 10%. Arcadia,Zoo Med, Exo Terra and Trixie. 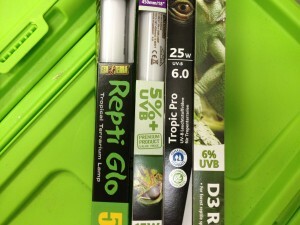 As an example a Trixie 6% UVB 25W (30″) was £15.62, now ONLY £14.06. 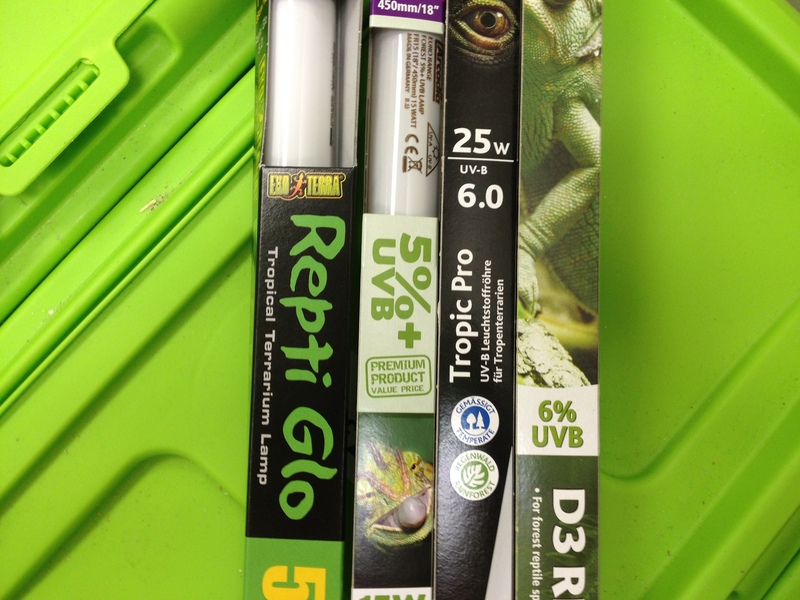 These discount UVB tubes are suitable for chameleons, day geckos, green lizards etc. Any reptile requiring UV light but not at the intensity of the desert species. This offer is whilst stocks last and ends on Tuesday 30th April, so grab them whilst they are there. Remember UVB tubes only give out UV for between 6-9months and then need to be replaced. The tube will still be working but will no longer be giving out light in the correct UV spectrum. Get a discount UVB tube now on offer for when you need to change yours. Pet shop Gloucester loyalty scheme is coming to an end. Well actually it’s not ending but it is changing. Our current system relies on a printed card being stamped in store and on our customers remembering to bring it or us stamping the card of pet shop Gloucester customers we deliver to. The cards (and vouchers) are also expensive to print and time consuming to use. So we are replacing it with an electronic system. This system uses a card that is scanned in at each visit. However the bar code is recorded on the system so points can be easily added over the telephone or on line (more on our new online store in a later blog). If you forget your card in store we can still add the points if you are registered. You can even buy gift vouchers direct from the system in store or (in the near future) on line. The system will also automatically print a voucher once enough points have accrued or give a code for on line redemption. It can also track your spend so allows us to tailor your rewards to the things you normally buy in our pet shop Gloucester. It even tells us when we need to order more stock because you should be in for your regular purchase. Flash huh! It is costing a small fortune but I think the benefits to our customers and to us (with much better stock control, targeted offers, online shopping and, later, integration with other channels and smart phone shopping) means our pet shop Gloucester has to move forward. The old scheme will continue to run at our pet shop Gloucester whilst the system is installed and old cards will continue to be honoured until it is up an running. Any outstanding points can be transferred. So don’t throw out your pet shop Gloucester card yet, you can still use it to get your vouchers and the old vouchers do not have a use by date so will be honoured in the future. Exciting time ahead for our pet shop Gloucester, so watch this space. We pride ourselves here at Angell Pets with the high level of qualification and experience of our staff. As part of his ongoing development George is off to Africa today to study for two weeks at the Mankwe game reserve. This reserve is in the northwest province of South Africa and boasts such magnificent animals as the white rhino, giraffe, zebra, a host of antelope and gazelle species such as the springbok,blesbok and impala, leopards, servals, brown hyenas and jackals amongst many. It also has its fair share of species that are not always so welcome. Last year apparently a spitting cobra was found in the camp (reputedly in a sleeping bag although that may just be the legend growing!). George has taken a black light to check his bedding at night and his shoes in the morning for scorpions. No doubt he will be spending quite a bit of time looking for spider burrows to further his knowledge of these in the wild. This is a real opportunity for our staff, myself included to extend our knowledge of the animals we sell as several species of captive bred animals that we have or have had in stock originate from this region. 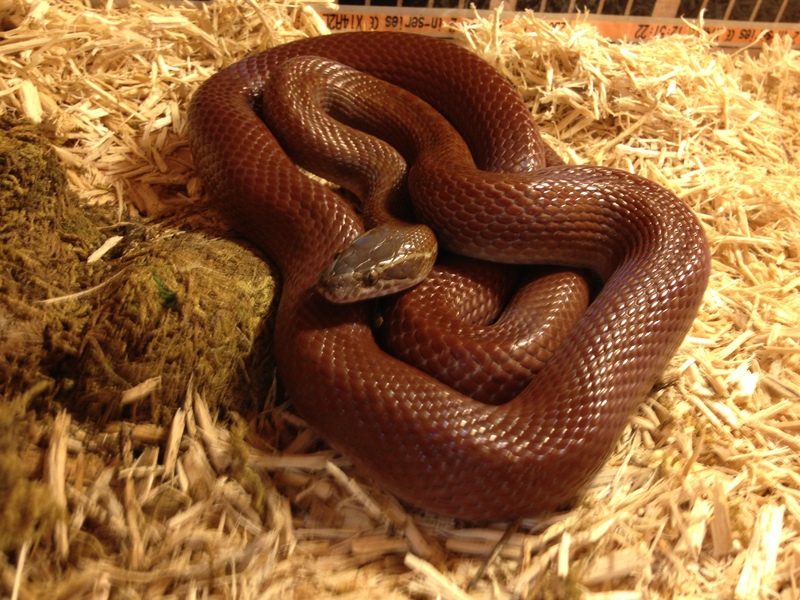 Species such as the African brown house snake, leopard tortoise, multimammate mice (called rats in Africa), cut throat finch, and the yellow canary. They also have a large variety of birds of prey so George will be in his element. So good luck to George in the first of his travels this year and we will keep you informed of further opportunities for extending our knowledge later in the year when he is off again to another part of the world. Natures Menu raw foods are now in stock. Natures Menu ready made meals or raw meat packs are now avaiable at competetive prices. Here are a couple of excerpts from the Natures Menu preamble to what the product is and why feeding raw food is good for your animal. 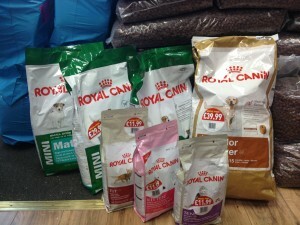 “Natures Menu are proud to be the leading experts in natural and raw dog and cat food. Turning to mother nature for its unrivalled recipes, answers to common well-being issues and a happier, more content pet. Our range of complete and balanced raw meals for dogs provide a convenient and simple way to feed your dog a healthy raw diet every day. With over 30 years of knowledge and expertise making raw and natural pet foods Natures Menu can assure the highest level of safety, palatability and nutrition, creating foods that nourish your dog holistically on all levels; mind, body and soul. Option 1: Feed your pet our complete and balanced raw meals range. We have currently 8 Natures Menu varieties, 4 of those are grain free. Option 2: You make the raw meals up for yourself at home using a variety of ingredients of Meat, Meaty Bones, Ground Fruit and Vegetables and for some dogs(never cats), a non starchy grain. Dogs and cats are hunters and the basis of their teeth structure, jaws, stomach acid ph and whole digestive system is designed specifically to deal with lots of juicy meat and raw bones. Dogs and cats are carnivores who have evolved to eat a meat and bone based diet. 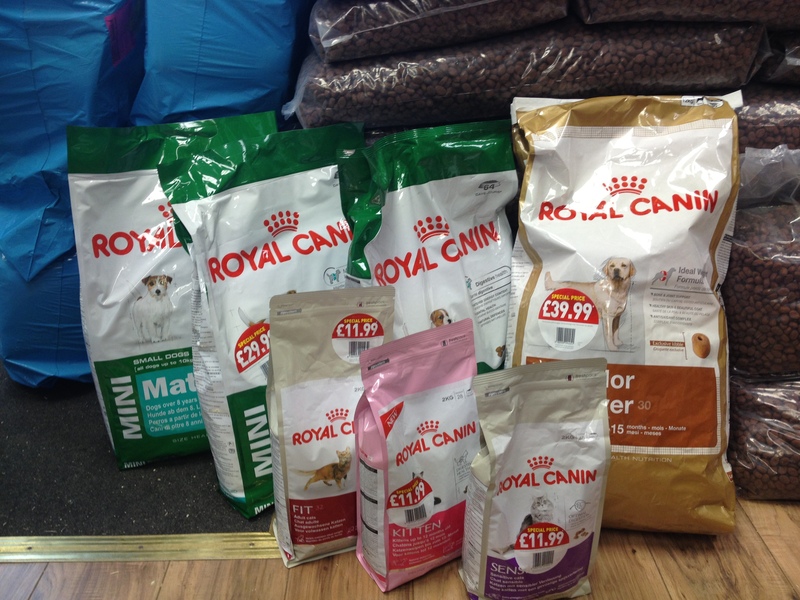 Today there is an abundance of dry extruded and other industrially processed petfood on the market. This may be convenient, but is light years away from the food which nature intended dogs and cats to eat. Biology is a science itself and on a biological level your pet’s body is designed and has evolved to, digest raw foods quality proteins rather than processed cooked proteins and grains. Fresh meat protein will always be better than processed proteins and where possible, fresh protein should be the main protein source. Protein derived from meat meals or meat and bone meals is a food by product and we recommend where ever possible avoiding heavily processed proteins. Check the packaging on your pet food to see if it includes real fresh meat protein. Fresh fruits and vegetables provide an abundance of natural vitamins, minerals and anti-oxidants which are essential to maintain your pet in the best health. Fresh peas, carrots, swede, sweet potato, apples, blue berries and lots more great ingredients are all used in Natures Menu foods and locally sourced wherever possible. Low starch carbohydrates or single source carbohydrates are much better for your dog’s digestion than highly processed heat treated grains. All of the Natures Menu products are wheat free and wheat gluten free. Parboiled rice is the only grain used instead and many of the Natures Menu products are totally grain free. We believe a small amount of boiled rice with some chicken or other real meat protein, mixed with fresh vegetables and fruits creates a full balanced meal for many dogs with totally balanced nutrition. The Raw Feeding Way Raw Feeding is also often referred to as B.A.R.F feeding which stands for Biologically Appropriate Raw Foods a way of feeding which is fully in tune with what nature intended for your pet. The ‘holistic’ or ‘natural’ pet food sold to us by todays marketing companies is a far cry from what you would expect your dog or cat to search for in the wild. When was the last time you saw a wolf taking a bag of dry pet food back to the lair? Biologically appropriate food has been developed for owners who appreciate that their dog or cat can’t hunt for themselves, as they would in the wild. Fresh raw meals are the appropriate food for your dog and cat and by bringing them back to nature. You are feeding a diet that they have naturally evolved to eat. Whilst this diet concept might seem worlds away from the television or media messages pumped out by the big advertising budgets of multi-national petfood companies, that you have come to understand and trust. Do some simple homework and take the time to search for Raw Feeding to learn what’s really best for your dog or cat. Pop in and see us and give Natures Menu raw a try. Here are our prices. This is our first order of Natures Menu. We will be increasing the Natures menu range with each order as we receive feedback from our customers so watch this space.